Clearout is a great way to protect your sender reputation for email marketing. 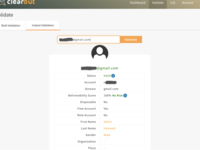 It detects and removes known abuse and spam trap emails, temporary addresses, invalid, syntax errors, toxic and catch-all domains. It's a powerful tool for improving your deliverability, and it also offers you data about your subscribers that can be valued in marketing reports: it appends first & last name, gender, organization & location. 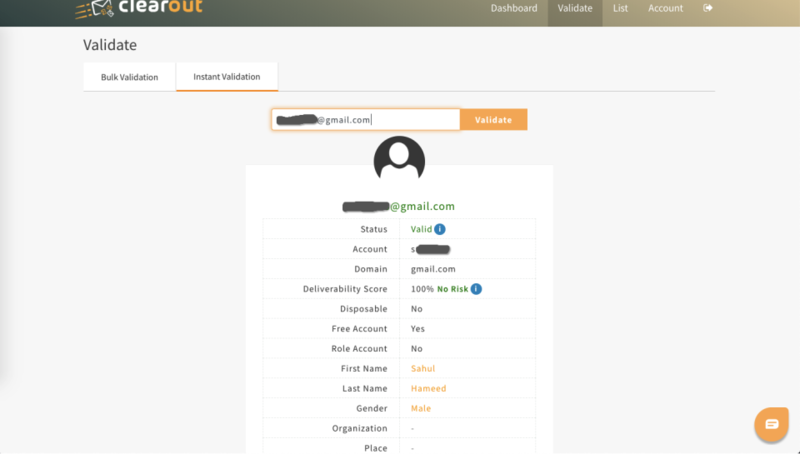 Clearout is a fast and easy to use email validator, & it also includes an API. Pros: The accuracy, pricing and the ease of using the tool. Cons: Mailchimp integration missing. Understand they are new in the market and when checked with the support, got to know that it will be available shortly. Worth waiting! Overall: Clearout has saved a lot of money providing the highest possible accurate results. It has reduced the bounce rate to a very negligible amount. The fresher the results are used for the campaign, the chance of hitting the user inbox is always highest. The time taken for the result generation is also less when compared to other tools in the market and the notifications that arrive at the inbox is very helpful. Pros: it's too easy to validate your huge volume data and we can validate our single email very fast with lots of extra information. Pros: It's really comfortable as being accessible anywhere and on any device. Cons: I wish they provide a certain free trial period along with free credits. Pros: Accuracy is what i like the best about this software. Cons: No cons till now that I have used. Works easy and handy anytime before sending out any campaigns. Pros: Accurate results and easy to use. Cons: I haven't found any cons yet. It is a great tool.